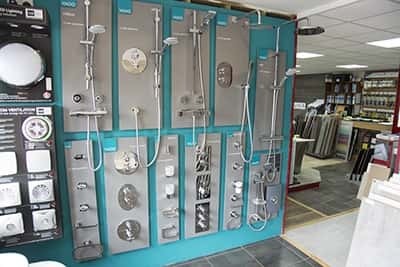 Bathroom tiles, with a large showroom and numerous bathroom installations for you to consider, with a great selection. From designer tile ranges all the way through to budget tile ranges, and anything in-between. 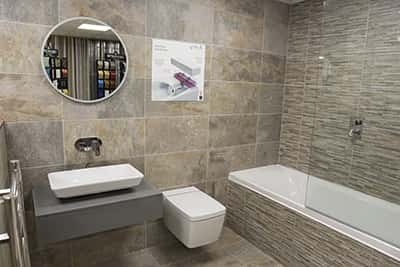 At Totnes tile we can supply you with everything and anything you may need for your project. including wall and floor tiles and all sanitary ware. And if at any point you need to bounce a few ideas off of someone our showroom staff are always there to lend a hand. Our designer tile range is very exclusive to Totnes tile and bathroom studio. With vitra and vitra designer collections available as well as many more. You will most definitely find something you like. We also stock the latest technologies from touch screen mirrors to automatic toilets. So even if it’s ideas your looking for pop on in and take a look you won’t be disappointed. We offer a huge variety of bathroom accessories. 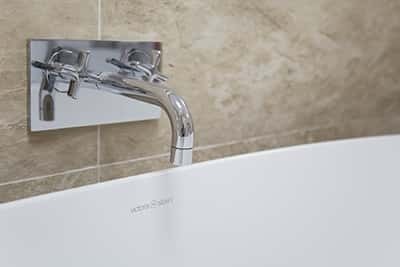 From your standard fossits to your super dooper showers heads, mirrors to extractor fans. So don’t be shy drop by and we will walk you through our full product range. Or simply browse at your own pace. 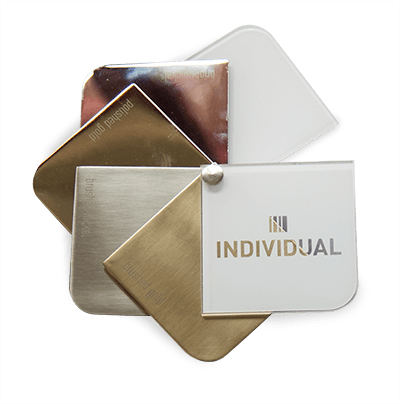 At Totnes tile we know the importance of expressing your individuality and that’s why we give you a choice in your fixture Finnish ask in store about our individual colour Finnish range.